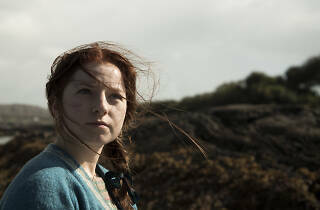 This year’s Irish Film Festival program includes 11 features and documentaries and two sessions of short films. Representing the best of recent Eirean cinema, the films cover topics ranging from Travellers to surfers, DJs to boxers. Float Like a Butterfly, from the producers of Once, kicks off the festival. 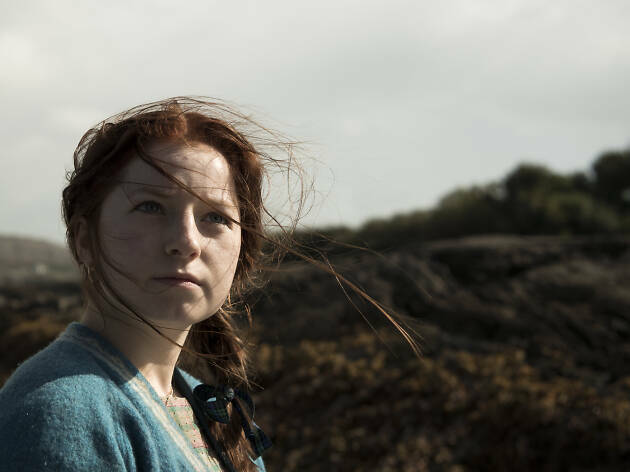 A coming-of-age drama set in 1972 when Muhammad Ali was scheduled to fight in Dublin, it focuses on Frances, a 15-year-old Traveller girl who has fighting in her blood. The twin teenage protagonists of Metal Heart clash constantly – one is a popular girl, the other is a goth. The Drummer and the Keeper tackles mental illness in the story of the drummer in a rock band, Gabriel, coming to terms with his bipolar diagnosis and while in rehab meeting Christopher, a teen with Asperger’s syndrome. No Party for Billy Burns is a comedy-drama about an farmhand (Kevin McGahern) who dreams of being a cowboy, hoping to trade the rolling hills of Country Cavan for the Wild West of Ohio. An aspiring DJ in the 1990s Dublin party scene runs into his estranged, drug-addicted brother on the street in Dublin Oldschool, based on a play by Emmet Kirwan. Kirwan himself stars, and the film will be introduced at the festival by writer/director Dave Tyson, who will provide context about the theatre/film/clubbing crossover in which the film was created. Captain Morten and the Spider Queen is one for the kids. It’s the animated adventure of ten-year-old Morten, who wants to follow in his father’s footsteps and become a ship’s captain, and gets his wish when he is magically shrunk to the size of a pea. The film has voice actors including Brendan Gleeson (Harry Potter, The Guard) and Pauline McLynn (Mrs Doyle from Father Ted). Documentaries at the festival range from uplifting to tragic. Unquiet Graves concerns alleged collusion between the British Government and paramilitary groups responsible for the deaths of 120 civilians during the Northern Ireland Troubles. The director, Seán Murray, will introduce his documentary at the festival, and answer questions from the audience. The Lonely Battle of Thomas Reid charts the story of Kildare farmer Thomas Reid as he battles the courts and multinational companies in order to keep his land (think an Irish The Castle). And five senior members of Sydney’s Irish community share their migration stories with in A Lifetime of Stories. Two sea-themed documentaries also feature on the program. First is The Camino Voyage, in which a group of men, including Oscar-winning musician Glen Hansard (Once), row a tiny boat from Ireland to Northern Spain. Between Land and Sea follows the surfing culture of the coastal town of Lahinch on the northwest coast of the Republic. In addition to the feature-length offerings, six short films that were screened at Dublin's Gaze International Film Festival will be shown on May 12. None of the films is over 25 minutes, and each explores a different aspect of Ireland’s queer community. And the festival-run Short Film Competition is also back for its second year with a mix of Irish and Australian directors showing eight shortlisted films, each no more than ten minutes in duration.